Congratulations for your engagement and thank you for visiting Happy Bali Wedding Bali, island of paradise has become wedding destination in the world. Are you have plan to getting married in Bali? as Bali wedding organizer in Bali, Happy Bali Wedding offers wedding venues to choose from such as Beach wedding, Resort wedding, Garden wedding, Villas wedding, Chapel Wedding. A dream wedding celebration in different style of wedding ceremony can be organized by wedding planner or wedding company in Bali. 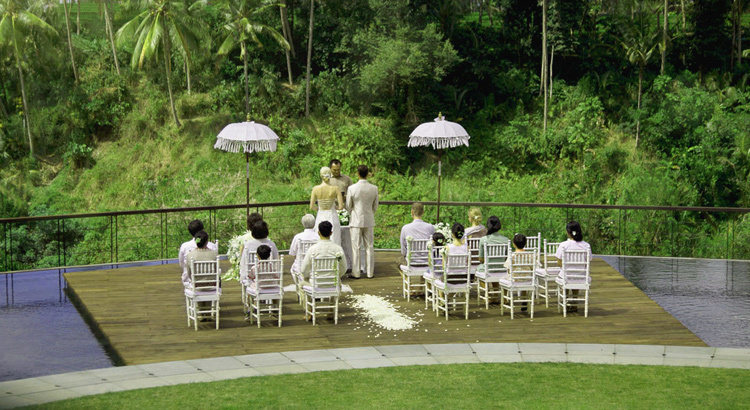 Happy Bali Wedding create customize wedding packages from a simple wedding package or more luxury group wedding which may involve several arrangements. Do you plan for a legal wedding or just blessing ceremony? So what will legal wedding and blessing ceremony requirements if you plan to celebrate your marriage on the island of Bali? What will documents required? These questions may come up on your mind? Click here for the answers and some guidelines of how to get married in Bali. To get legally married in Bali, you are required to have same religious wedding ceremony base on your bride religious and civil ceremony. Religious and civil ceremonies can be held simultaneously by inviting the parties of the government as a witness and guardian of marriage, so that the wedding ceremony is considered valid before the law and religious law.